Grow your own food. Practice natural building techniques. Learn Partner dance from amazing teachers. Raise and butcher animals (if you want). Learn and practice effective communication skills. Sleep under the stars. Be a locavore. To climb mountains? Use minimal fossil fuels? Build community? Make lifelong friends? Read stories aloud? Learn the names of constellations? Bake bread? Practice survival skills? Be super silly and super stoked? Share your skills? Meet inspiring locals who are making a difference? Can peaches and jam. Learn the stars. Regularly walk out into the wild for an adventure. Host pot lucks with new friends and neighbors. Harvest greens. Sing around a camp fire. Get dirty. Get clean. Design and build. Identify birds. Backpack for a week. Dance your booty off. We invite you to join us for the full homesteading experience combined with a rich mix of community, play, and adventure. It’s about growing your own greens, butchering your own meat, living without cars or gasoline, climbing mountains, building with natural materials, and learning the skills to create community. Regardless of whether your future is on a farm or a group house in the city, this semester will shape your values and character while giving you skills that help build and contribute to community, such as group facilitation and decision-making, organizing and service, creating safe space and dialogue, making bread and sauerkraut, building and fixing things, dancing with a partner, backpacking, and being a great friend. Paonia is special and famous for it’s community and local organic farms. A good chunk of this semester is about food. 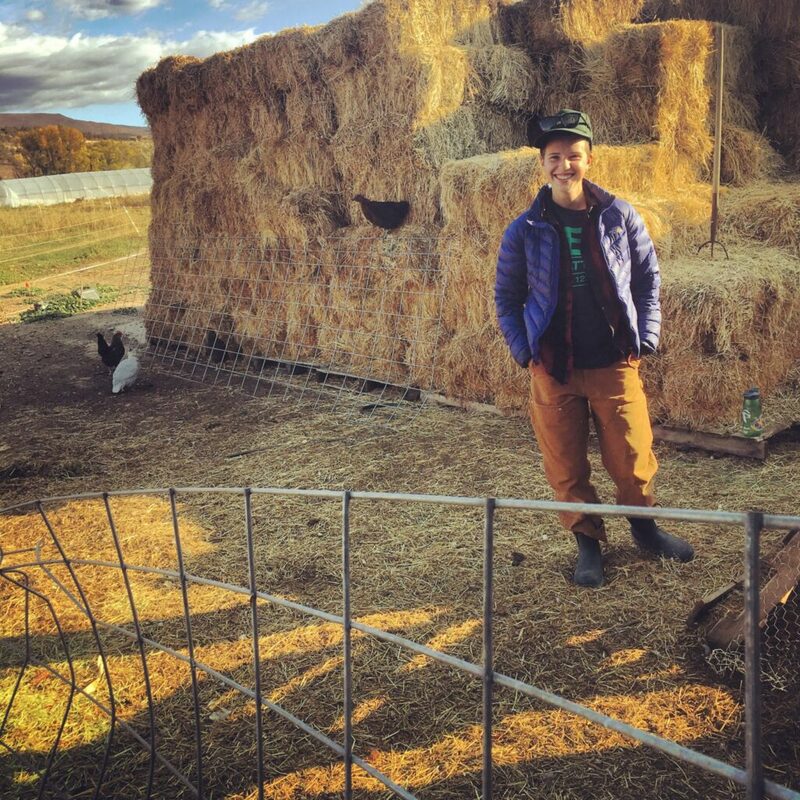 Some days we help local farmers harvest their crops while learning about techniques like permaculture, holistic management, or biodynamics. Other days we might make pesto, pick apples, or butcher chickens (or an alternative vegan option). We will cook from whole, local foods and invite the neighbors for potlucks. In late September, we will celebrate the harvest with the entire town at the Mountain Harvest Festival, a week of music, local food and fun. We’ll finish up in late October by sharing a Thanksgiving feast with the neighbors full of local foods we’ve harvested and prepared. This semester is about deepening one’s relationship with place and community. It’s about staying close to home and creating a rich, meaningful and connected life. We will also dance, sometimes in the huge dance hall just up the hill, sometimes under stars. We will have the opportunity to gain skills through frequent practice and dance socials both within our group and the larger Paonia community. We have multiple talented dance teachers on our staff and will learn from them and others. Our emphasis on partner dance compliments our focus on communication, consent and group skills. The result is a group environment that feels safe and intimate. Everybody leads and follows in a way that transcends traditional gender roles. By the end of the semester, you can expect to feel confident, have fun and look great on the dance floor regardless of previous experience. Adventure is a big part of the semester as well. You can expect to climb mountains, explore canyons, or purposefully get lost without a sleeping bag only to spend a night around a fire eating cactus fruit. We’ll learn about minimalist camping, primitive skills, orienteering, birding, and the night sky. You’ll not only participate in adventures but have the chance to design and lead them. We value our time in the backcountry for both the simplicity of living as well as the context it creates for learning. Outdoor adventures pose new challenges like packing up camp, cooking outdoors, pushing your physical limits, staying warm, hauling water–these elements push you to explore both teammate and leadership skills. In the process you’ll learn about yourself, be challenged to grow, and master a number of relevant outdoor skills. It’s important that participants are in reasonable physical shape coming in (able to easily walk six miles in two hours) and committed to daily physical activity and exercise. Even a trip to the store means biking or walking up the local hill. Much of our campus has been built by previous participants, and you’ll have a chance to add to it. We will tour nearby houses heated by the sun and made out of everything from straw bales or old tires to recycled materials and earth. We will then design and create our own building project. Past projects include building an earthen, wood-fired oven, a strawbale room, a solar dehydrator and a solar oven, cabins, as well as countless improvements to our current infrastructure. The High Desert Center property is a over mile above town. Life here is rustic. For example, we cook in an outdoor kitchen, shower outside (in a private shower stall), use composting toilets, have one small mirror, chop wood for a stove on cold days, pee in the woods, and walk or bike instead of driving. Take a lead role in the kitchen. Learn to cook for the group, preserve local foods, and create and share new recipes. Work on farms and learn innovative farming methods. Grow your greens, make your bread and cheese, butcher your meat. Live with minimal gasoline and without vehicles. Instead you’ll hike, bike, and cook and heat water with the sun. Build out of natural and found materials. Learn dance from skilled teachers. Connect with yourself and others through movement and music. Adventure. Gather wild foods. Step out of your comfort zone. 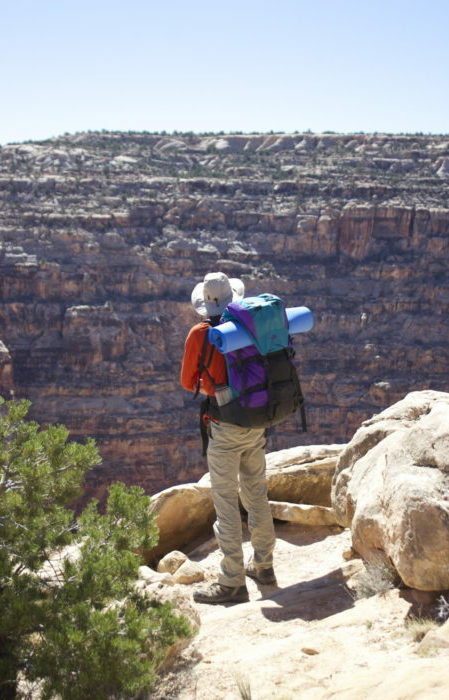 Explore local mountains and canyons. Organize and lead a community service project. Participate in a local organization that you believe in. Live in a Group. Learn and practice group organizing, decision-making and consensus building. Gain a slew of practical skills, from milking goats to making soil to wiring electricity. Participate in numerous community events, from “Harvest fest” and “Music in the Park” to potlucks, dance recess, and barn-raising work parties with the neighbors. Meet inspiring people. Build relationships, play and laugh a lot. Get support in figuring out your future. Apply to colleges or jobs, create future adventures or strengthen your relationship with family. Be surprised. Try a whole slew of unanticipated activities and ways of being. For more read the Simply Living Semester FAQs below or contact Dev with any other questions. WHAT’S OUR DAILY SCHEDULE LOOK LIKE? The answer depends on where we are and what we’re doing. Most days we’ll be up with the sun, either going to a farm or biking to a mountain trailhead or canning peaches. In the afternoon there is some individual time while the cooks make dinner. After dinner there might be a meeting and check-ins followed by dance or a campfire. At least once a week we’ll have adventures and two days a week will be free days to explore the town, do laundry, and generally take care of yourself. CAN MY FRIENDS OR FAMILY COME TO VISIT? Yes, visits are possible. Normally we ask people to only stay for a day or two and to not sleep in our cabins. Finally, it is important that visitors get themselves to and from Paonia. Generally we are too busy during the semester to be picking up visitors at airports or bus stations. 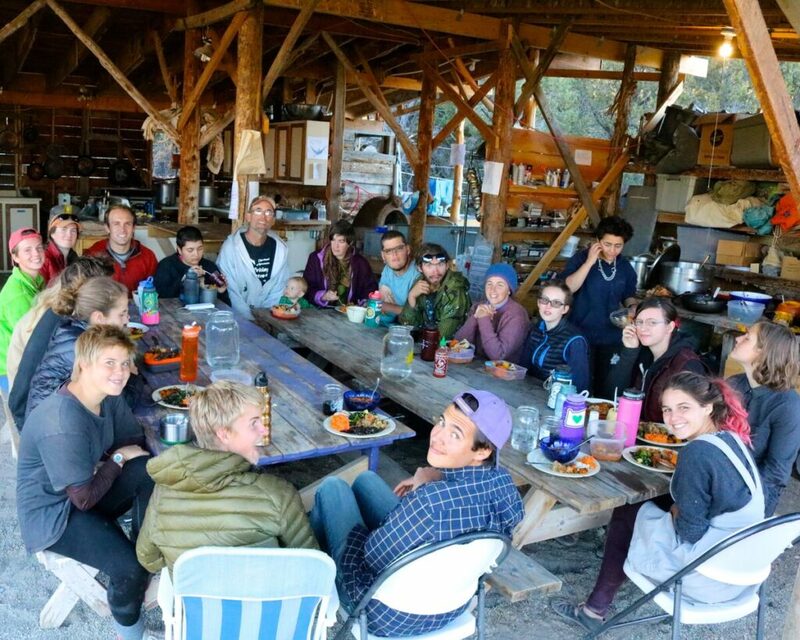 The program fee includes all food, housing, transportation and activities while the group is together but does not include your individual transportation to and from Paonia and optional spending money for personal purchases or activities. You will need to provide your own health insurance. You will also be asked to come with some of your own outdoor equipment, like a sleeping bag, hiking boots and a water filter. An equipment list will be provided after you are accepted to the program.